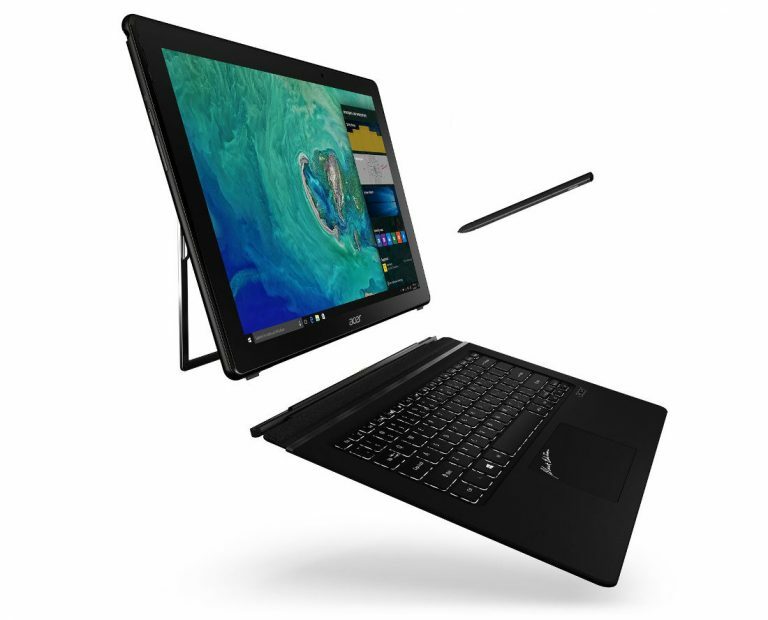 Acer Spin 5 convertible that can be interchanged between laptop, tablet, display and tent modes.The 2-in-1 comes with an optional Acer Active Stylus. It features 8th-Gen Intel Core processors, up to 16GB of DDR4 memory and NVIDIA GeForce GTX 1050 graphics option for the 15-inch model. The device comes with Acer TrueHarmony, Dolby Audio Premium technology, and two front-facing speakers. It integrates four array microphones combined with far-field voice-recognition technology that allows users to access Cortana from up to four meters away. The Windows 10 device comes in a 13-inch model that weighs in at 1.5 kg and measures in at 15.9 mm thin, while the 15-inch model is just over 2 kg in weight and 17.9 mm thin. 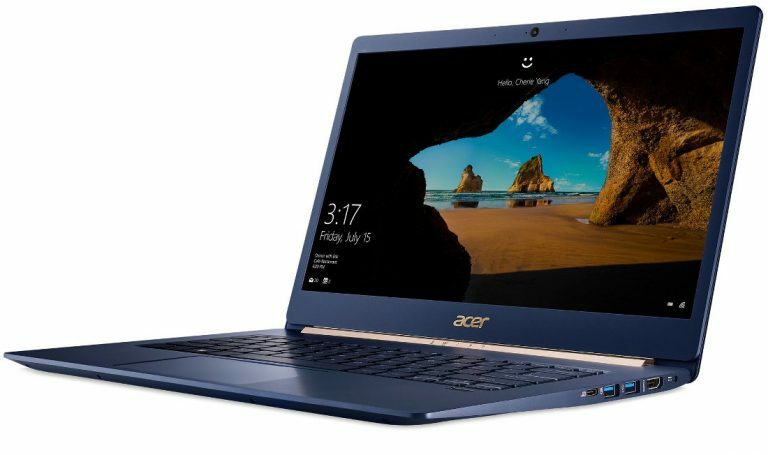 Acer Swift 5 notebook is thin and light as the top and bottom covers of this notebook are made with magnesium-lithium, while the palm rest is made of magnesium-aluminum. The notebook is powered with 8th-Generation Intel Core processors and runs Windows 10. It sports a 14-inch Full HD (1,920 x 1,080) IPS touchscreen display. The device features Acer TrueHarmony with Dolby Audio Premium technology while Skype for Business certification offers clear video conferencing and a great experience with Cortana. It has 8GB of LPDDR3 RAM, 256GB solid-state drive (SSD), Windows Hello support via fingerprint scanner. Acer claims a battery life of up to 13 hours. Acer Switch 7 Black Edition sports a 13.5-inch display with a sharp 2,256 x 1,504 (201 PPI) resolution in the increasingly popular 3:2 aspect ratio for enhanced productivity. It is a fanless 2-in-1 notebook equipped with Acer’s Dual LiquidLoop fanless cooling technology. It is powered by 8th Generation Intel Core i7 processor and NVIDIA GeForce MX150 graphics It has a brushed-aluminum body and weighs less than 1.15 kg and comes with a detachable keyboard. 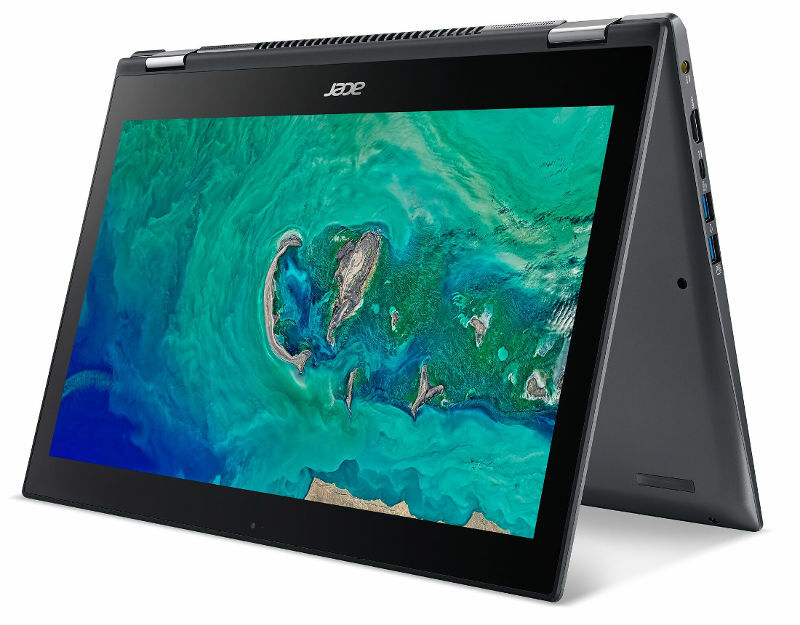 The device features Acer AutoStandthat can be auto-deployed and auto-retracted, providing single-handed operation as opening and adjusting the display on a clamshell notebook.Supporting Windows Hello, the Swift 7 Black Edition features an optical-based under-glass fingerprint sensor design with POA (Power on Authentication) that allows users to power on the device and login instantly with just one touch. Acer Switch 7 Black Edition will be available in the US in December starting at $1,699. Acer Swift 5 will be available in the US in December starting at $999. Acer Spin 5 will be available in the US in September with both the 13-inch and 15-inch models starting at $799.